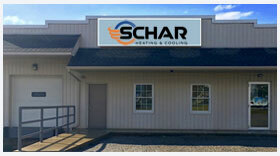 Schar Heating & Cooling, Inc. is proud to serve the Creston community! About Creston, OH - Happy to be your hometown Heating & Air Conditioning Contractor! Located in portions of Wayne and Medina Counties, Creston is a small village with about 2,200 residents. This community got its start in the 1860s after the local railroad extended here. Previously known as Pike Station, the village is located 25 miles west of Akron, and many residents commute to the city for work. Creston is served by Norwayne High School, which educates about 450 students, and the Wayne County Public Library is also found within its limits. While Creston isn’t home to any popular attractions or tourist destinations, there are a few noteworthy businesses here that serve local residents. Shopping is available at Dollar General, W.G. Dairy Supply, and the Pike Station Inn is the most popular dining option in the area. Other restaurants are a short drive away in Seville, including El Patron, Digsby’s Pizza Pasta & Pub Grub, and the American Heritage Restaurant. Visitors can also take advantage of the cultural opportunities of nearby Akron, including the Akron Art Museum, Akron Zoo, and F.A. Seiberling Nature Realm. Typical of the Upper Midwest, Creston is part of a humid continental climate zone. Summers tend to be warm and humid, following a short, wet spring. Average July temperatures hit the low-80s, but highs into the 90s are also common throughout the season. When it comes to staying cool and comfortable throughout the unpredictable summer months, an Energy Star central air conditioner is an important home investment. Winters in Creston are cold, and rain, sleet, and snow are all common. Average highs reach into the 30s, but there are many days in which temperatures fail to even reach the freezing point. While snow is slightly lighter than the Snow Belt, residents can still expect an average of about 48 inches per year. Creston citizens should be prepared with the right gas or electric furnace. Periodic HVAC servicing, especially during the more comfortable autumn months, is also recommended.